The Own Voices Forum in Bendigo in August 2017 will explore how writing and storytelling can help develop new ways of thinking about the self, disability, and community. The forum is for people with disability in Bendigo and the Loddon NDIS region, as well as arts and community development workers, disability and health service providers, teachers, local councils and libraries. 09.45 am - Registrations open. 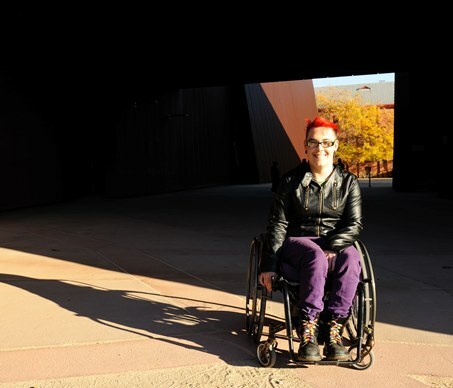 12.30 pm - Reading from disability writer, activist and performer Jax Jacki Brown. 02.15 pm - Learn about upcoming writing opportunities for people with disability in the region (and how to get involved). The Own Voices Forum is part of Write-ability Goes Regional and Online, one of the only fully-accessible and disability-led writing and literary initiatives in Australia. Following the forum, the program will include workshops, author talks and webinars for people with disability interested in writing and build writing skills for creativity and employment. Watch this space for more information coming soon. Special Offer: People with disability in the Loddon NDIS region can also get 30% off a Writers Victoria membership by before the end of October 2017. Find out more on the this website.